The Open Toolkit Library | OpenTK - The Open Toolkit is an advanced, low-level C# library that wraps OpenGL, OpenCL and OpenAL. When you want to repeat a small texture on a large quad without drawing the quads yourself. Bind to the texture as usual and make sure you aren't clamping. The glTexCoord2f() controls how many times the texture is repeated. Image coordinates are typically from 0 to 1 in OpenGL. So the above calls repeat the texture 32 times in both the x and y directions. GLFW - An OpenGL library - GLFW is an Open Source, multi-platform library for creating windows with OpenGL contexts and managing input and events. It is easy to integrate into existing applications and does not lay claim to the main loop. glfw/glfw - A multi-platform library for OpenGL, window and input . SDL - Simple DirectMedia Layer is a cross-platform multimedia library designed to provide low level access to audio, keyboard, mouse, joystick, 3D hardware via OpenGL, and 2D video framebuffer. OpenSceneGraph - open source C++ scene graph. OglExt - A LGPL library for accessing OpenGL extensions. AntTweakBar GUI library to tweak parameters of your OpenGL and DirectX programs [AntTweakBar] - C/C++ variables can be bound to graphical controls on Linux,Windows,OSX with examples of GLFW,SDL,GLUT,SFML, and DirectX. AntTweakBar - Perl bindings for AntTweakBar - metacpan.org PerlGameDev/Alien-AntTweakBar - perl binding! WebGL Samples/Demos and other bits at Vladimir Vuki?evi? The Lessons | Learning WebGL - The first ten are based on the well-known NeHe OpenGL tutorials, but I’ve diverged since then. Here are the ones so far. 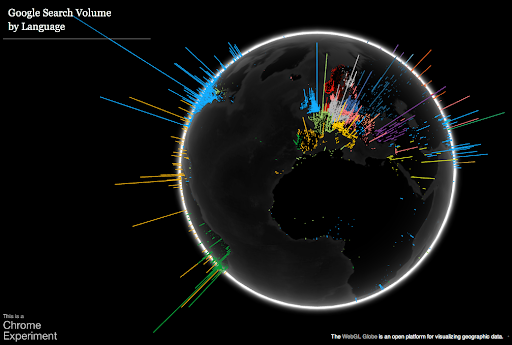 Geographic Data Visualization Platform meant for the web.